You can claim compensation if you have had a needlestick accident while employed to clear land or property. We have successfully acted for a number of contract cleaners who have been required to clear areas of land or property that have had a high-risk factor but due to inadequate Personal Protective Equipment (PPE) or risk assessment there has been an accident involving a discarded needle stick or similar sharp and we can help you. You can claim damages for your injury, stress and worry alone; there is no need to have developed any form of infection or blood-borne virus (BBV) such as hepatitis b, hepatitis c or HIV. If you are employed to clear land or property then you must be provided with the correct personal protective equipment to make sure that you are safe when carrying out your job. This should include the correct gloves, footwear etc. as well as the provision of litter pickers and the like if so required by the task in hand. In addition, your employers are responsible for making sure that the procedure you are required to carry out is, in fact, safe and designed to allow you to carry out your task without sustaining injury. All the tasks you are required to carry out must be subject to a risk assessment; failure to carry out such an assessment can lead to an admission of liability and the payment of compensation. 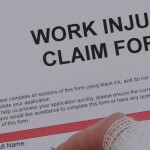 If you think you may have a claim then get in touch today for your free consultation and if we can help you then chances are we can deal with your claim on a no win- no fee basis so that if for any reason claim is not successful you don’t have to pay us for the work we have done on your behalf.